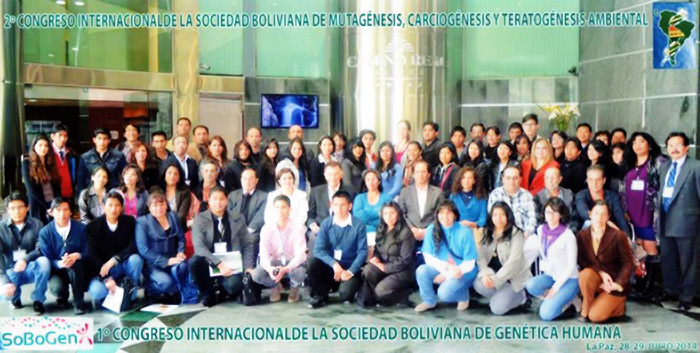 Carlos Encinas, board member of the Bolivian Society of Human Genetics, helped to organize the first international congress in La Paz Bolivia in July of 2014. Guest speakers to the conference included Prof. Francisco Ayala (USA) and many other scientists from different fields. Carlos and the other participants posed for a photo at the conference.